Lysol will protect your family and surfaces from germs and eliminate many odors, leaving a room smelling clean and sanitized. 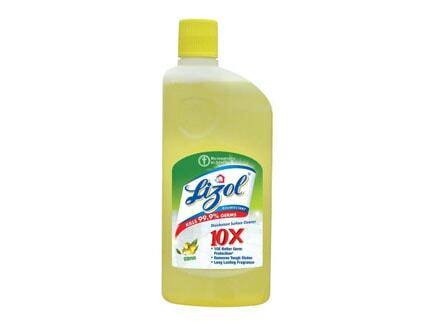 Lysol kills 99.9 percent of viruses and bacteria on hard, non-porous surfaces around the home. This pleasant smelling Lysol spray can also be used on soft surfaces as a spot treatment to eliminate bacteria and odours. Use this disinfecting spray daily around your home to help protect your family from the germs that can grow on commonly touched surfaces.